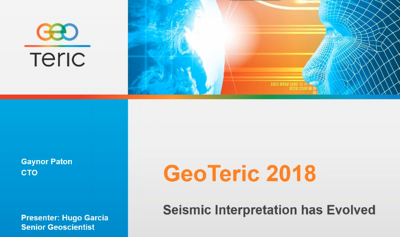 Validate – A new module in GeoTeric which will allow the everyday interpreter to explore what the colours in a Frequency Decomposition RGB Colour Blend actually mean, by investigating the effects of fluid, lithology and thickness. Interpretation Enhancements – Polygon control has now been added for tracking and deletion of horizons. Improvements in visualisation have also been made with regards to horizon interpretations and surfaces. Report View – For quick and easy communication, all items visualised in the 3D Scene can be sent to a Report View with the ability to export it as an image. Well Data Management – Improvements have been made to the management of wells, through the use of Well Log Templates, a Well Log Manager and Multi Well property controls. Master Project – The Master Project functionality brings improved project management whereby multiple Client Projects can reference volumes and blends in a Master Project allowing for standardisation and a significant saving of disk space.